Competitive shooters require a very specific set of features to stay ahead of the competition, and The Vortex Golden Eagle hits the mark (pun intended). 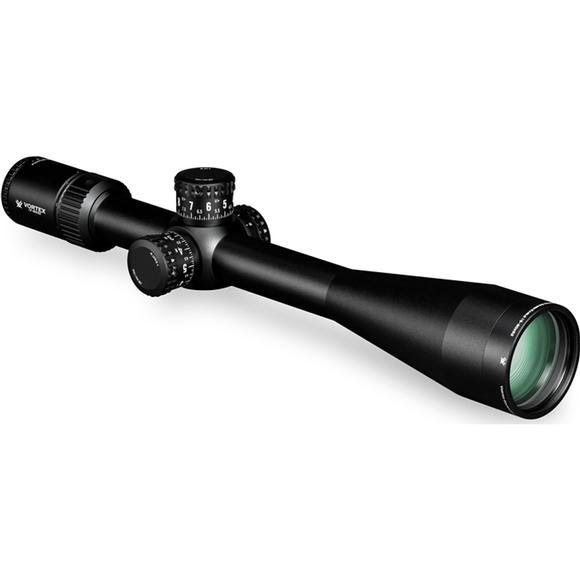 The 15-60x magnification, fine reticle, and positive and repeatable tracking are perfect for fine tuning that record shot. Plus, its relatively light weight-29.5 oz.-allows shooters to adhere to strict competition weight limits. Whether you&apos;re interested in Rimfire Bench Rest, Centerfire Bench Rest, NRA High-Power or F-Class competitions, this is the scope for you. The ECR-1(Enhanced Crosshair Reticle) is a hash marked reticle using moa based subtension lines for holdover, and windage corrections. The floating center dot subtends 0.095 MOA at 40X.